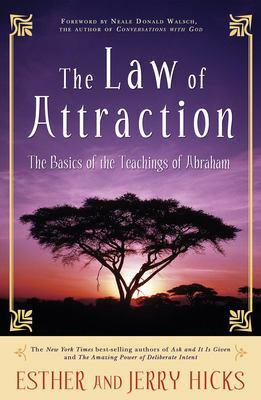 This book presents the powerful basics of the original Teachings of Abraham,"" Within these pages, you'll learn how all things, wanted and unwanted, are brought to you by this most powerful law of the universe, the" Law of Attraction. "(that which is like unto itself is drawn). You've most likely heard the saying "Like attracts like," "Birds of a feather flock together," or "It is done unto you as you believe" (a belief is only a thought you keep thinking); and although the "Law of Attraction "has been alluded to by some of the greatest teachers in history, it has never before been explained in as clear and practical terms as in this latest book by "New York Times "best-selling authors, Esther and Jerry Hicks.